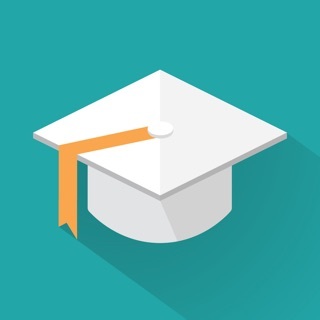 Do you really want to pass the G1 Test on your first attempt? 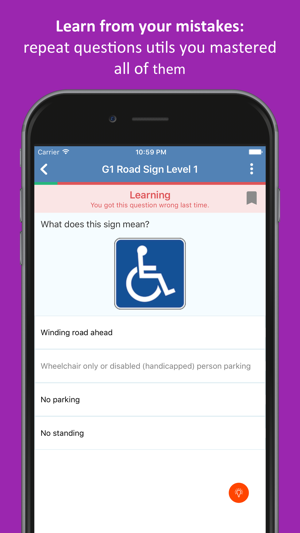 Easiest way to pass your driving theory test 2017 and get your driver's license. 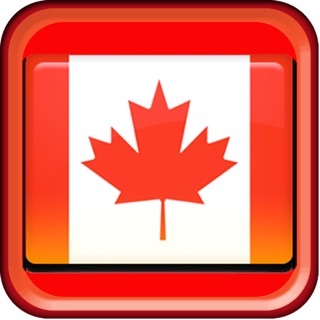 G1 Test Ontario. 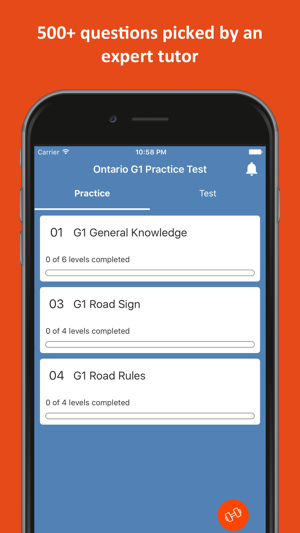 Based on the official 2018 Driver's Handbook issued by MTO (Ministry of Transportation of Ontario) and past G1 test revision questions. 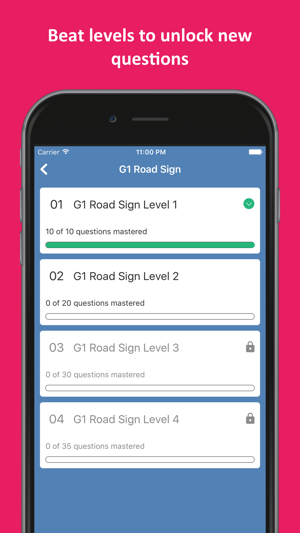 With G1 Practice Test you will make progress more quickly than with any other traditional method, as you can take the tests wherever and whenever you want, without the need to be connected: at the bus stop, in a bar, in the classroom, at work or at the dentist’s waiting room…! 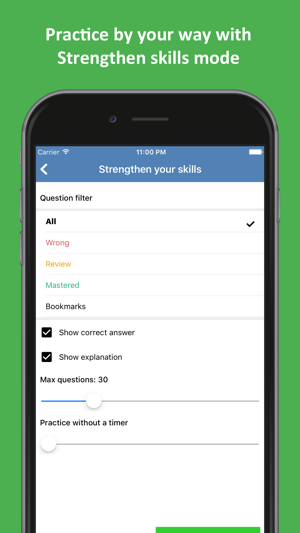 - Over 500 questions to practice with. 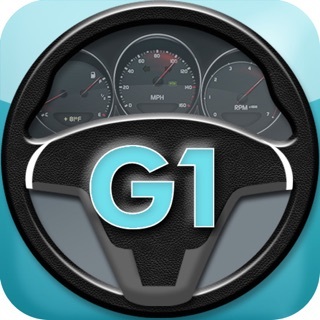 - Perform a simulation under the same conditions as the official G1 Test. When you finish the test you will see your score and review all the questions. View full explanations after each question to help you remember the correct answer for next time. 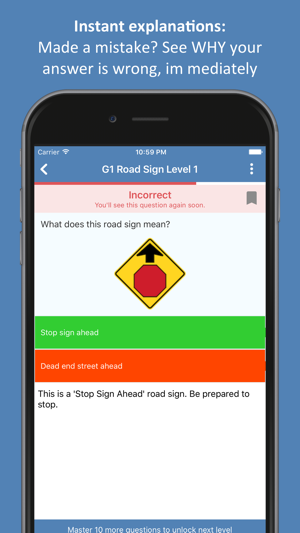 - Exam Mode (theory test simulator) is as close as it gets to the actual G1 Test experience.